Daniel DeLeon believes that philanthropy is the foundation for success. Born and raised in a poverty stricken country, Daniel learned the importance of hard work, providing for his loved ones, and always helping those in need. 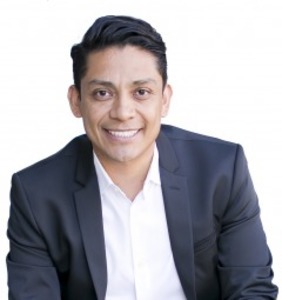 With entrepreneurial ambitions, 10 plus years of mortgage experience, and a vision of giving back to the community; Daniel ventured into the real estate industry. Through his heart centered business philosophy and general care and compassion for his clients; Daniel has found and continues to find great success within the real estate field. Daniel is the the founder and Chief Executive Officer of Pierlis Group. Through his continued financial success Daniel and his team have built 5 homes for impoverished families in Latin America. When he is not working or leading services projects Daniel is devoted to his loving family and continues to deepen his spiritual practice through daily yoga and meditation. Always searching for greater opportunities, he has aligned with Compass with the support of his mentor Nick Segal and a determined team behind him; Daniel's future is full of inspiring possibilities.